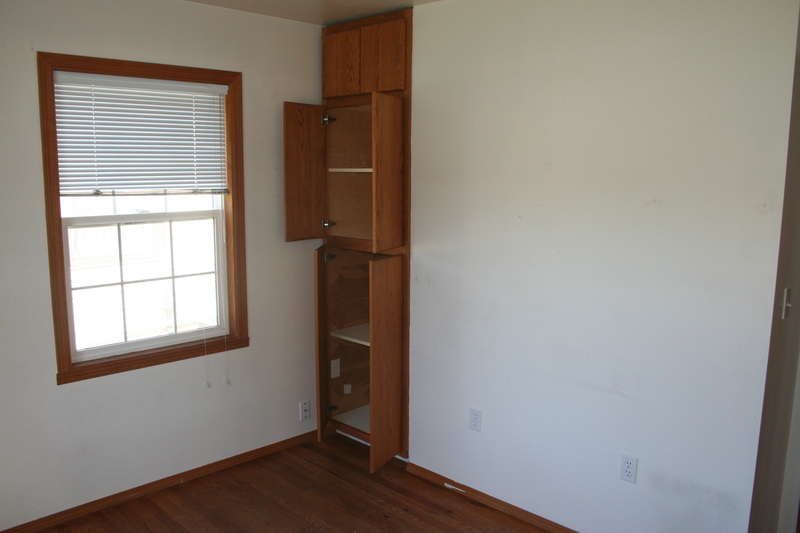 When one moves into a new space, a space in need of cosmetic updates, it can often be difficult to know where to start. 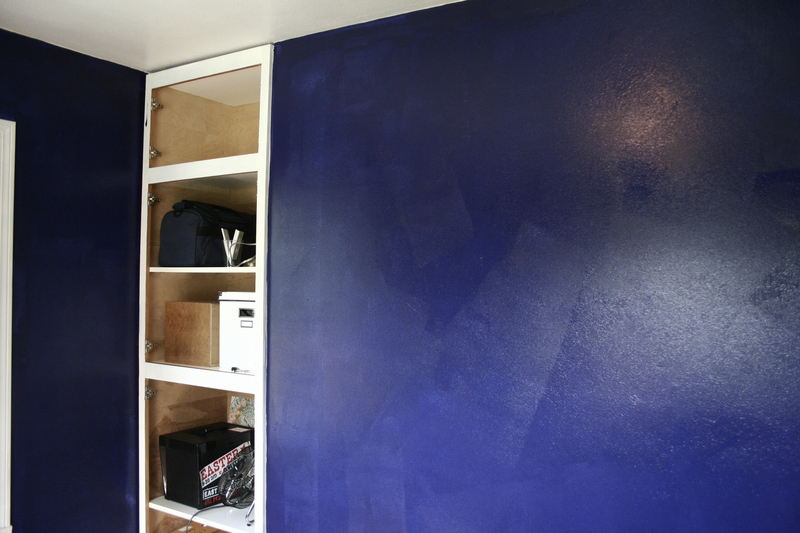 For us, we decided to start with painting John’s office. It made the most sense. 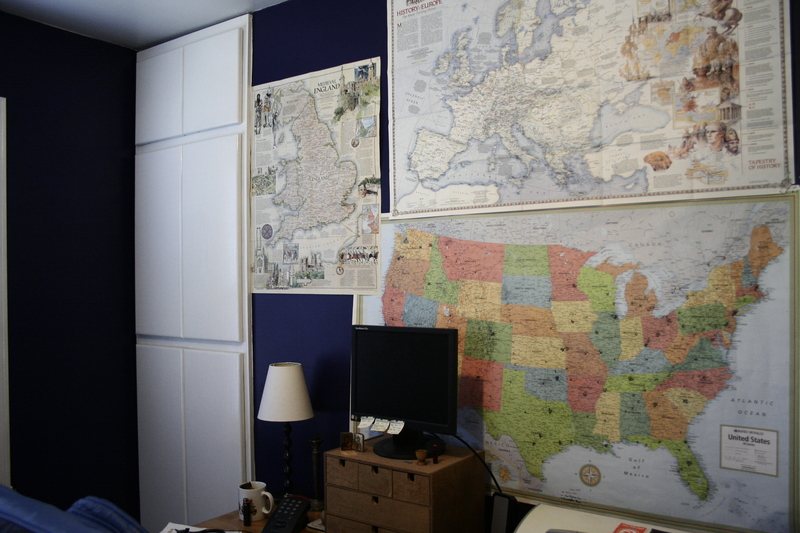 He was gone for a week (still working in Seattle), so we had the opportunity, and he works from home, every day, so he would need a completed space when he arrived back in Yakima. 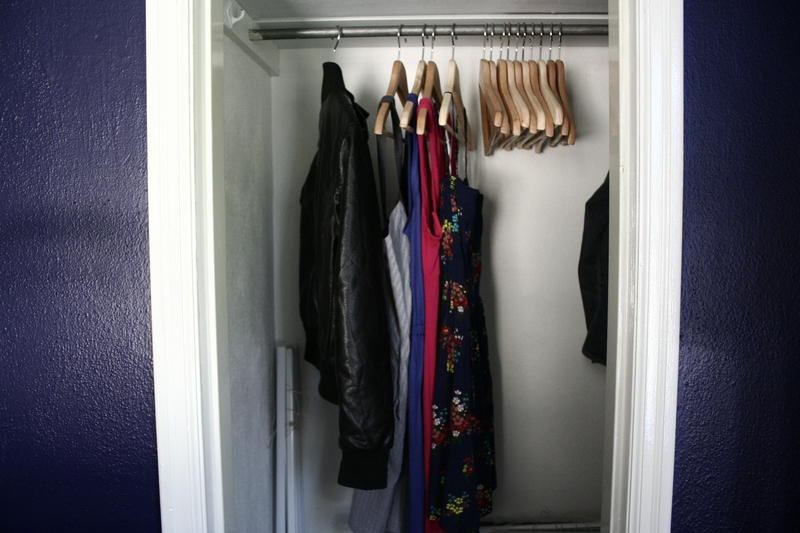 I decided to be a little bold (as John himself is a bold soul) and chose a navy blue. 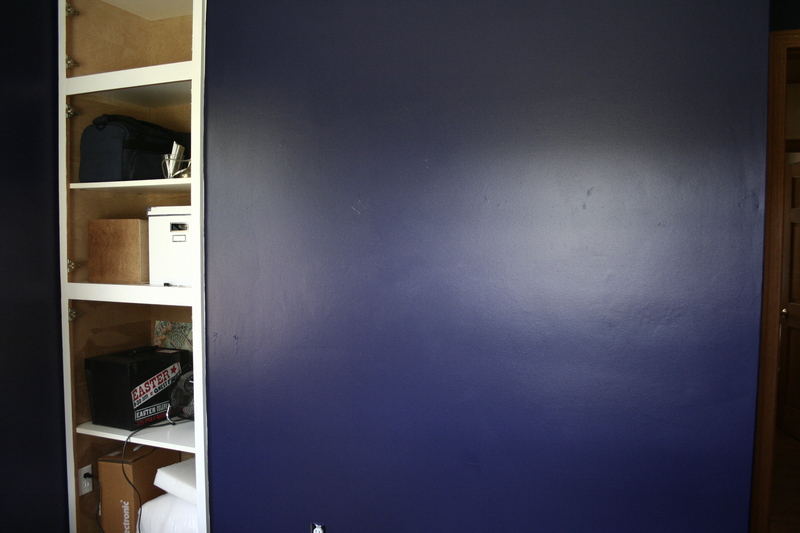 Even though navy looks stellar in a very flat finish, we chose eggshell, at the sound advice of our local paint expert. 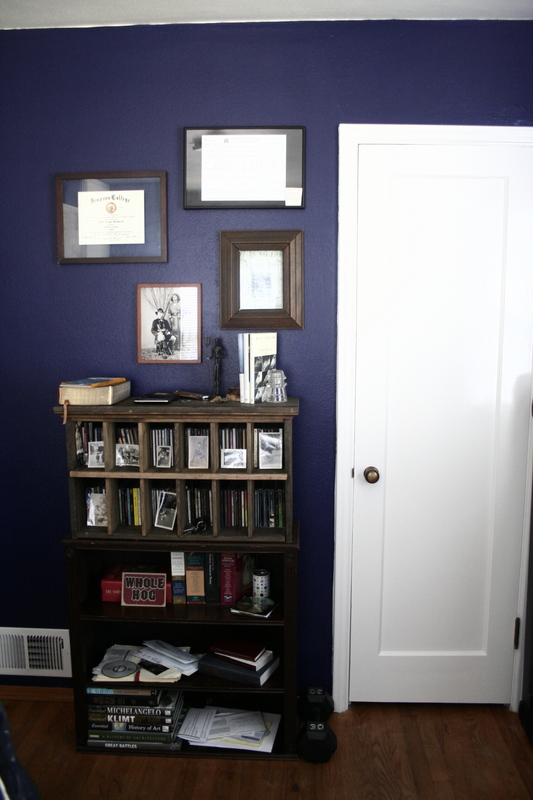 I chose a navy that slants toward purple, ‘Midnight Navy’ from Benjamin Moore, to be exact. I love it’s luminous quality. We also decided to paint the oak (not original and not particulary nice) trim white. 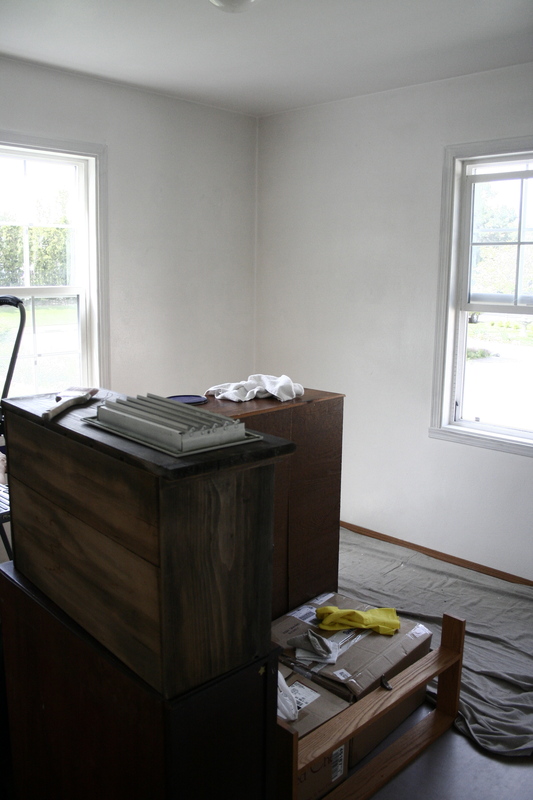 Before we started painting, we had to wash down the walls with tsp because previous owners chose to paint with very high gloss paint everywhere in the house. 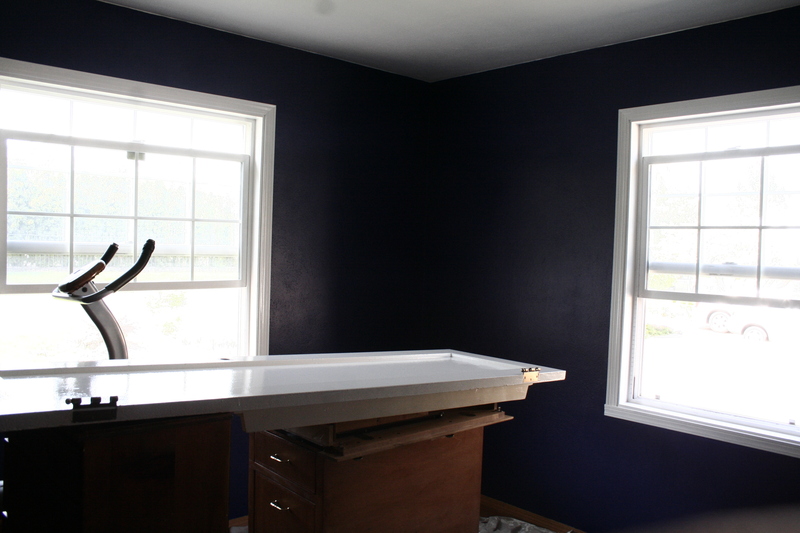 And then we set to work on the first coat. 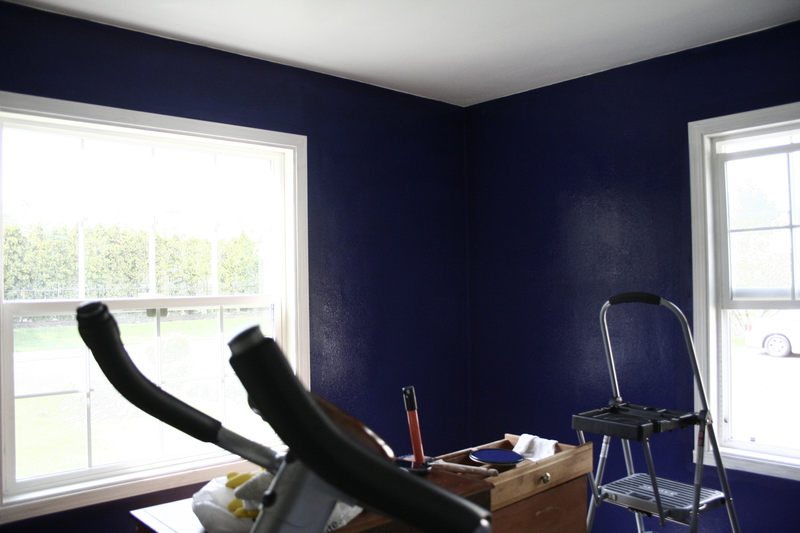 We knew from the outset we would need to do two coats, so, after letting it dry over-night, my mom, single-handedly did the second coat. I could not have done it without my parents. My dad painted all the trim too. 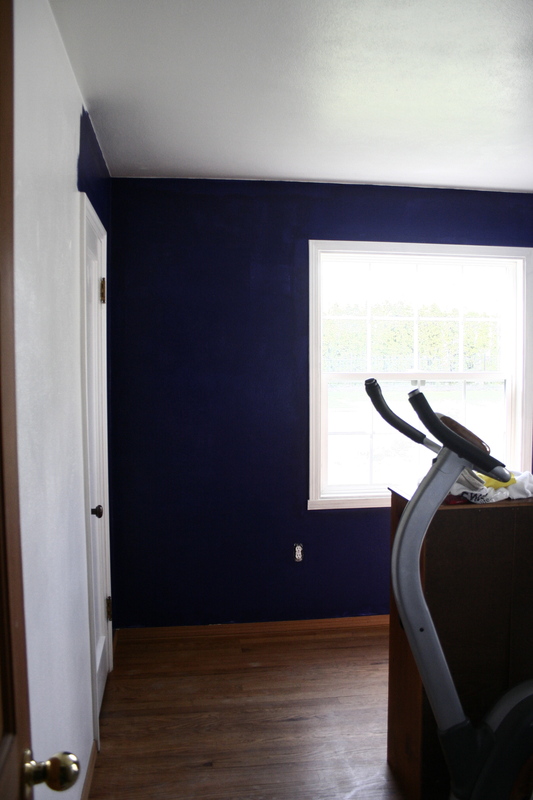 Had I been left alone to paint even that small room, it would have taken me forever and there probably would have been paint drips on the walls and blue splotches on the nice white trim. Let’s just say I need more practice. We are both very happy with how it turned out and I think the cool color will be even more welcome as the weather heats up here. 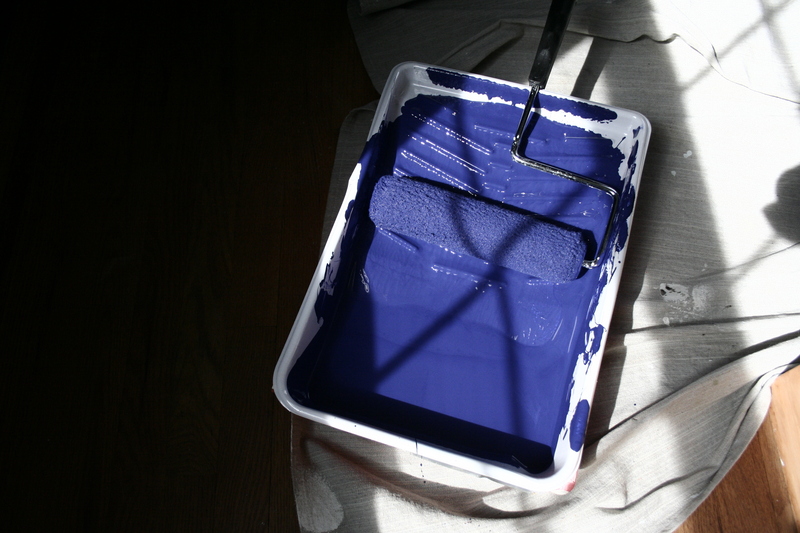 I was sure John would like the dark color since he kept mentioning Sherlock’s apartment in the BBC miniseries. He wanted some wallpaper, but I wasn’t feeling quite that ambitious. 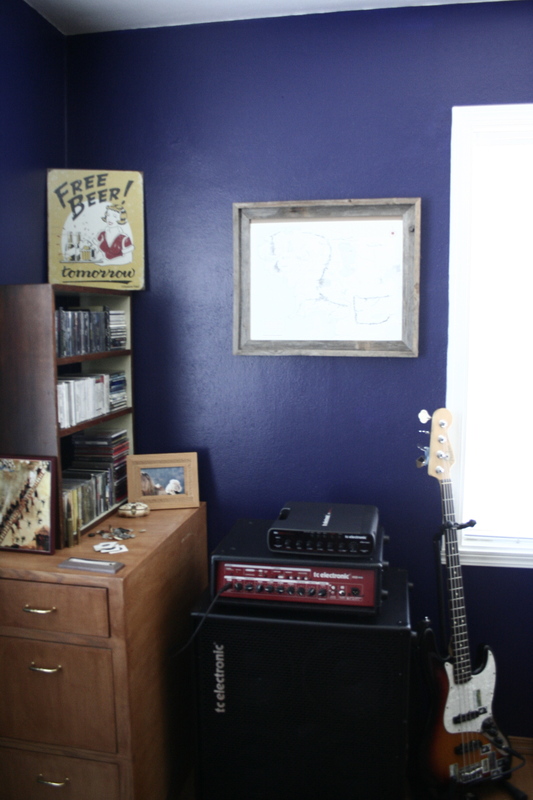 And there it is, one room down, many more to go. 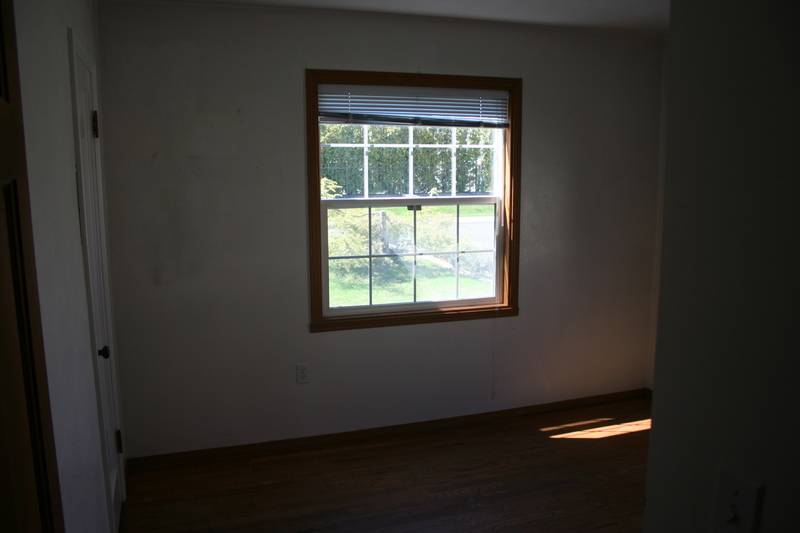 Next up: the living room, with it’s coved ceiling, textured walls, glossy paint and unattractive fireplace. We are rolling up our sleeves already!